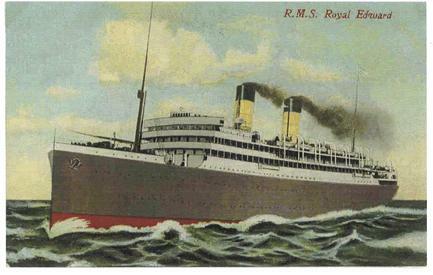 Manufacturer	:	Canadian Northern Steamship Co.
Royal Edward was a liner used to carry people between Bristol and Canada. 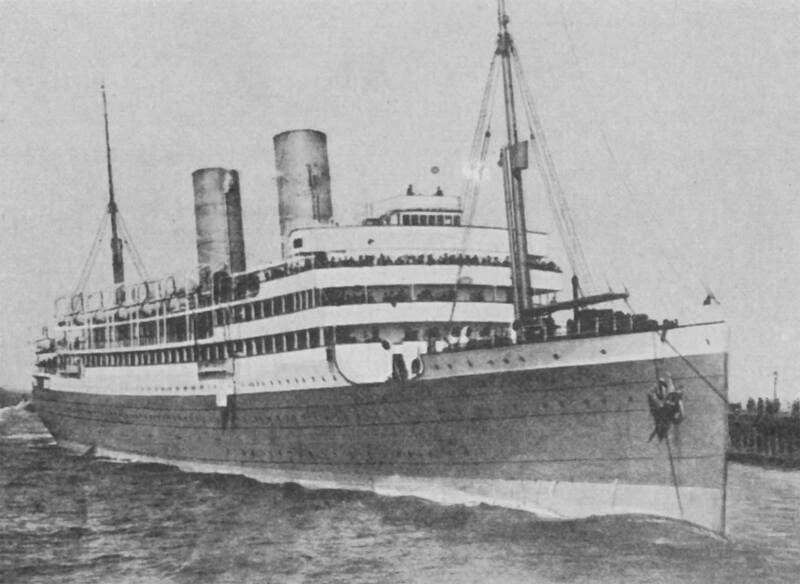 After the World War I broke out, she was used to carry troops. Her captain Cdr. P.M.Wotton was given an order to carry the 2nd. 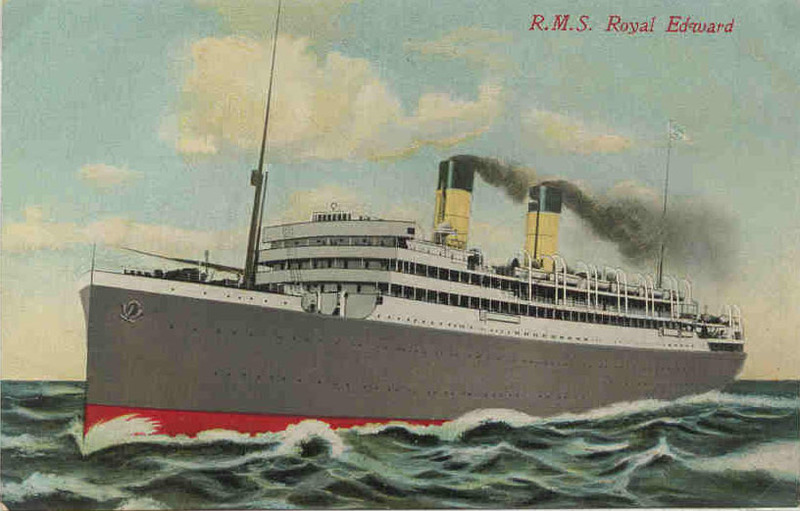 Battalion troops to Dardanelles on her last voyage. 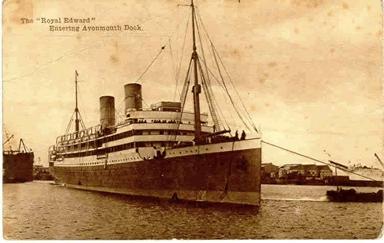 At 13th of August 1915, she was found by the German submarine UB-14 under the command of Lt. Von Heimber , near Kos island, 6 miles west of the Kandeliusa island. And she was sunked by a torpedo taken right from her stern. She sunked in a very short time with a huge loss of life up to 1000 including the captain. 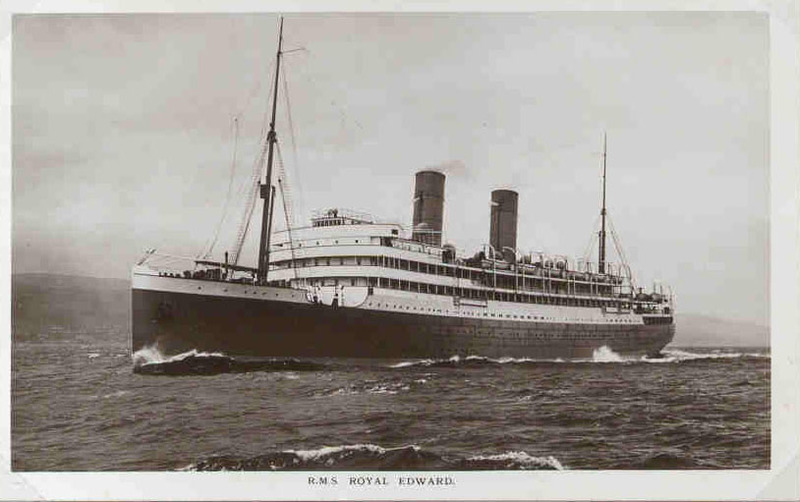 There is a book about this ship with the name : "FASTEST TO CANADA.THE ROYAL EDWARD : FROM GOVAN TO GALLIPOLI."